A visiting academic from Oxford University is predicting nobody will be making cars with internal combustion engines within 10 or 15 years. 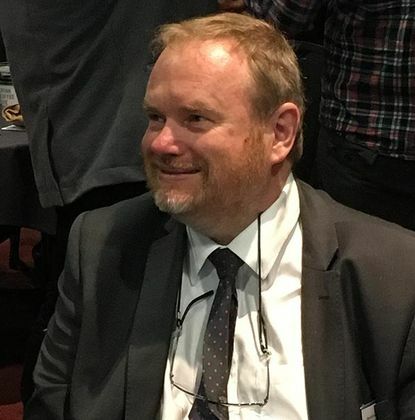 Oxford University associate professor Malcolm McCulloch told Monday’s Wellington and Greater Wellington Regional Councils symposium on electric cars that it’s inevitable that all new cars will be electric within that time frame. The rule of thumb people in the industry are using is that once the cost of a battery gets below $US150 per kilowatt hour, the economics of electric cars becomes cheaper than manufacturing vehicles with internal combustion engines, he says. “If you look at the trajectory of what costs are doing at the moment, it looks as though we will reach that $US150 by about 2018,” Professor McCulloch says. It’s going to take a little while for those costs to actually translate into new vehicles coming through and it’s going to take a little while for those vehicles to start to build up but I’m of the viewpoint that we’re at a point where it’s just not going to be cost competitive to build an internal combustion engine in 10 years’ time,” he says. Currently, there isn’t the manufacturing capacity to meet even current demand – Ministry of Transport figures show there were just 1304 light electric vehicles in New Zealand at the end of March, less than 0.25% of total light vehicle registrations. Manufacturing capacity “is being ramped up tremendously” in Europe, the US and China, Professor McCulloch says. He doesn’t think the surge in production required to make his prediction come true will strain the availability or prices of the raw materials required to make batteries. “One of the key resources is lithium. A lot of concern has been about the underlying stocks of lithium but, in the past five or six years, a lot of new sources of lithium have been found globally, so that’s much less of an issue than it was a few years ago,” Professor McCulloch says. “There are new battery technologies coming through that are using much more abundant materials and metals,” he says. Professor McCulloch similarly brushes away concerns about the pollution problems of disposing of car batteries. Once lithium batteries have reached the end of their useful life for use in cars, they typically only have a small percentage of cells with problems, he says. It’s possible to get twice the life out of existing batteries by reusing them for static uses and, when that has been exhausted, a lot of the lithium can be recovered and the remaining materials are inert and can be recycled, he says. Professor McCulloch similarly dismisses concerns such as what to do with all those internal combustion cars and their value destruction. He cites a venture in Dunedin which is currently replacing internal combustion engines with batteries and which is now up to its 20thvehicle. He says such operations could ramp up their scale quite rapidly. Given New Zealand’s high use of second-hand cars – about 70% of car purchases are of second-hand cars – it may take up to 18 or 19 years for cars with internal combustion engines to become obsolete, he says.